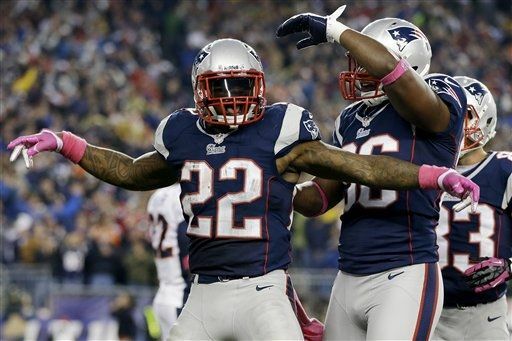 Does Stevan Ridley have one foot in the doghouse? Patriots' running back Stevan Ridley has been great this season. The second-year LSU product has over 300 rushing yards on the season and three touchdowns. 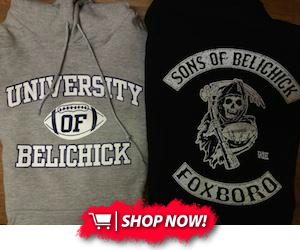 He's rushed for over 100 yards in three games, and on Sunday in Foxborough, he ran for 151 yards and a touchdown. On his last carry, however, he coughed the ball back to the Broncos. Thanks to Willis McGahee's butter fingers, Ridley was luckily bailed out. Bill Belichick doesn't like fumbles. In fact, last season after Ridley fumbled against the Broncos in the playoffs, we never saw him on the field again. By tomorrow, we may see an article on "The Onion" saying how Ridley has vanished and Belichick is said to be responsible for his disappearance. Even with Danny Woodhead, Brandon Bolden and Shane Vereen, there's absolutely no chance we see Ridley get serious bench time because of one fumble. But he did also fumble, although the Bills didn't recover, last week at Buffalo. If this becomes a trend, we'll see more Bolden than Ridley. I don't expect it to, but one thing's for sure: Belichick doesn't tolerate turnovers. Ridley's fumble let Denver back in the game, but it didn't cost them the game. It did, however, cost Ridley snaps at the end of the contest. BenJarvus Green-Ellis never fumbled with the Patriots. Ridley is better than Green-Ellis but Belichick treasures players who don't turn the ball over. Belichick is going to be looking at that fumble a lot more than Ridley's 150-yard effort. This is a good growing moment for Ridley. He'll learn to wrap up the ball with two hands when your team's trying to close out a game. But Ridley didn't have the worst day for a running back. He didn't lose a fumble AND drop a fourth down pass.